The US should make Oman its leading ally in the Gulf. 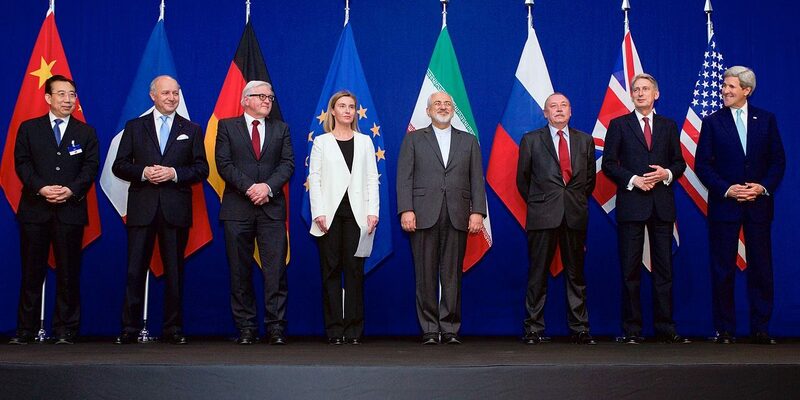 The historic nuclear deal struck between Iran and the P5+1 has been marked by one photo: the foreign ministers of the seven nations standing side by side, beaming. However, this photo is missing a key person in the negotiations: Sultan Qaboos of the Sultanate of Oman. Oman was instrumental in bringing the United States and Iran to the table together, which after decades of sanctions, hostage crises, and opposing security concerns, was a major obstacle to even beginning the discussions that have led to the nuclear deal presented this week. Oman has always had good relations with the United States while also maintaining a strong relationship with Iran; most other GCC nations actively oppose Iran because they see it as both an economic and ideological threat. Oman’s unique neutral position enabled Sultan Qaboos to mediate between the United States and Iran, the motivations for which mainly regard regional security and personal economic gain. In September of 2011, Oman facilitated the return of three American hikers jailed in Iran on espionage charges. This first act built confidence within the United States of the Omani commitment to rapprochement between the U.S. and Iran. With this new, successful dynamic in mind, John Kerry (then chairman of the Senate Foreign Relations Committee) met with Qaboos in secret in Muscat in December of that year. Kerry presented the idea of direct discussions with Tehran, an idea which Qaboos greatly encouraged and agreed to facilitate. This meeting set up Oman to become a key player in the future nuclear deal. Muscat hosted the first meeting between the Americans and Iranian officials in July of 2012. In March of 2013, these secret talks continued with Deputy Secretary of State William Burns meeting with Iranian counterpart Majid Ravanchi, where discussions regarding the nuclear deal began. As talks intensified, Qaboos continued to host meetings (some at his own residences) between the two parties through late 2014, risking his own position within the GCC by keeping news of the meetings secret. During this time, Omani envoys also carried secret messages containing important terms of negotiations between the U.S. and Iran. Even as late as April of 2015, President Obama made calls to discuss the nuclear deal with Oman, even though P5+1 talks had already ramped up by that point. Oman was instrumental in the easing of relations between the United States and Iran, and was therefore incredibly important to the success of the deal. Most of U.S. foreign policy in the Gulf has been dominated by Saudi Arabia due to its economic, geographic, and ideological influence in the region. However, Oman has proven that it has greater credibility in working cooperatively with the United States to further mutual policy goals in a productive manner. Although its human rights record is somewhat questionable, Oman has not been involved in state-sponsored terrorism unlike its GCC allies. It also has a zero rank on the Global Terrorism Index, a position that very few of its neighbors share. They reserve this position due to a variety of factors. First, both the Consultative and State Councils include representatives from every social faction in the country. These bodies are given the appropriate powers and are not simply figureheads to appease the public. In addition, women are provided equal opportunities in education and careers, a basic right which many nations in the region do not provide. Furthermore, Oman’s official religious narrative called Ihbadi Islam is one of the most tolerant in the faith, a characteristic which has a direct impact on governmental proceedings. What the U.S. needs is a reassessment in the way they approach counterterrorism. While military action may be considered in the immediate future, what is truly needed is governmental reform. However, instead of trying to implement western political structures and ideals, the US needs to encourage models of peace-promoting nations that already exist in the region. Oman is perfect for this function. Although it is still an un-democratic nation, it is a model of political and social stability that and can be described as progressive when it comes to religious and cultural tolerance. If Middle Eastern nations were encouraged to copy their format, transitions to new governments would be much smoother and less contentious and would create less anti-American sentiment. To encourage this process, the U.S. needs to make Oman its leading ally in the Gulf. By fostering stronger economic and political ties with the sultanate, the U.S. will gain greater political legitimacy in the region due to its backing by a nation which has stayed independent even through various pressures. Both Middle Eastern and Western nations will be able to appreciate Oman’s role as a bridge between two ideologies. The U.S. road to counter-terrorism should step away from complete reconstruction; what it needs now is a stable regional ally, and Oman is perfectly poised to take on this role. Shohini Gupta is a research analyst at the Institute for Gulf Affairs in Washington DC, a think tank focused on Gulf policy and human rights.